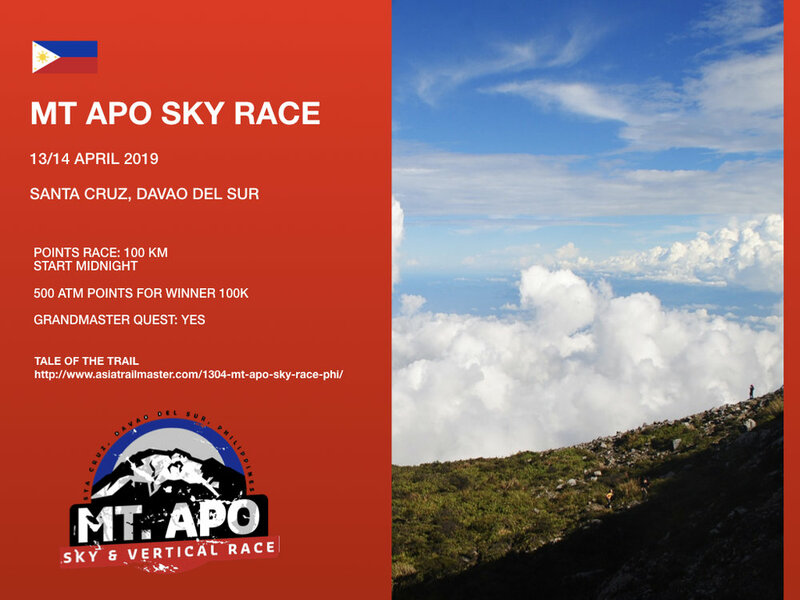 4th edition of this big mountain race up the legendary Mt Apo on Mindanao Island in southern Philippines. Thanks to Vertical 2 Sky, event organiser, runners in this race will have exclusive access on Apo this year, as the mountain is currently closed for tourism. If possible, fly direct to Davao via Singapore. Direct international connections from Kuala Lumpur and Hong Kong may also appear soon in the air schedule. Alternatively, fly to Davao via Cebu or Manila. From Davao, it’s a short drive to Santa Cruz, location of the famous San Miguel beer brewery. There’s guesthouses near the race venue where you can spend the night. CUT: 35 hours at the finish. 11 hours at CP1.